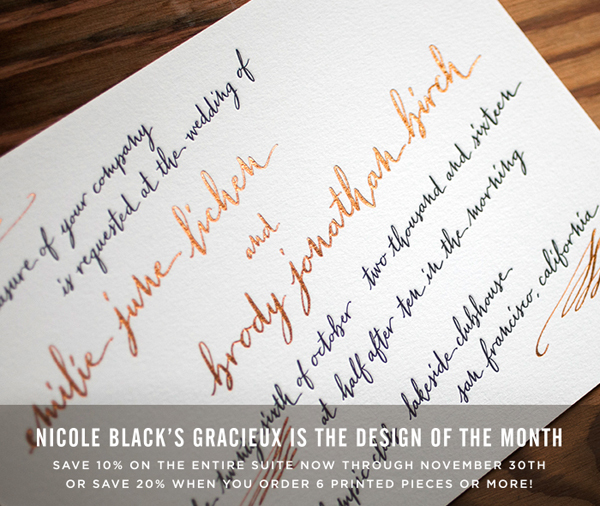 Bella Figura’s November design of the month is Nicole Black’s Gracieux suite. 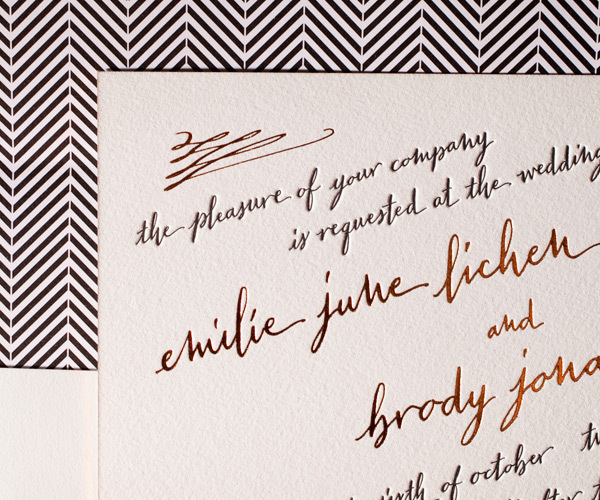 A glamorous black tie affair with accents of shiny gold and copper inspired this design. You can check out the designer’s inspiration board here! 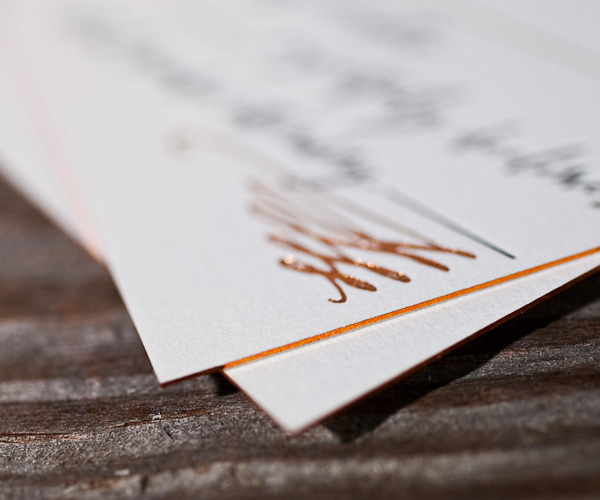 We love this design as shown in copper foil and black letterpress, but switch things up to a softer color palette and you have the perfect invitation for a sweet and romantic affair. 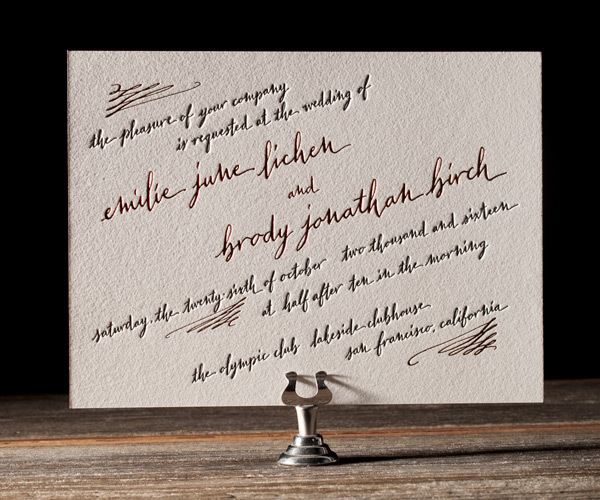 Whatever your style, with a few customizations this beautiful invitation with hand calligraphy can be the perfect fit. Save 10% on the entire suite when you order through November 30th, or save 20% if you order 6 or more printed pieces. 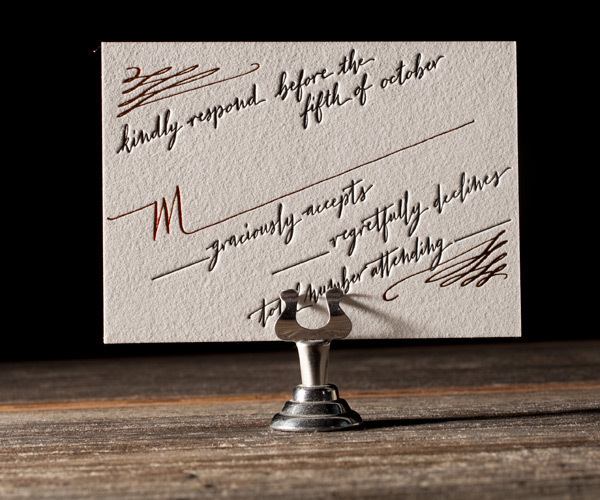 Call us to schedule an appointment to design your dream wedding invitations – 858.456.1446!